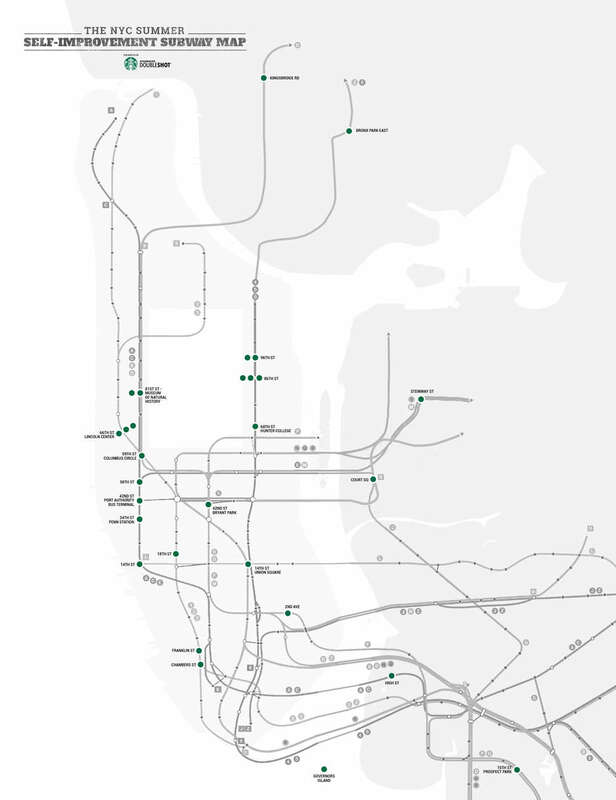 With jobs to work and smartphones to scroll it’s easy to forget that NYC has tons of opportunities to learn a little something and have a good time -- with no cab fare required. 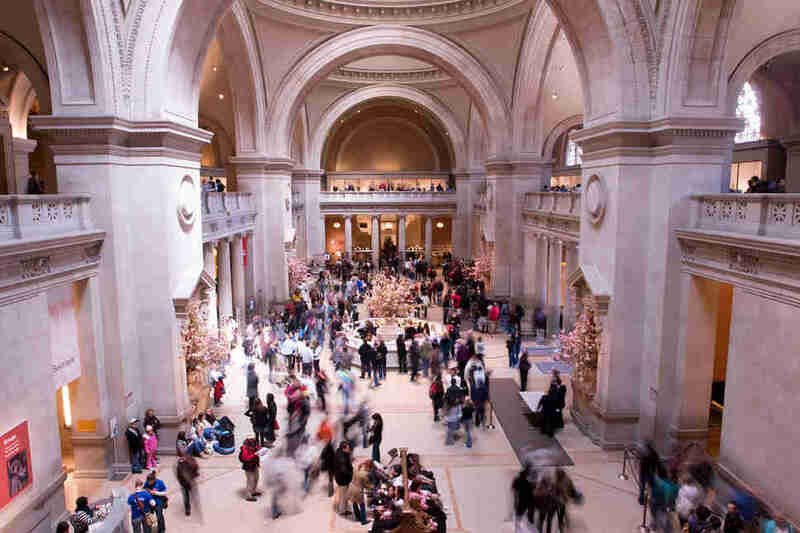 We’ve rounded up the 30 best cultural happenings on the MTA map to tap into, from free concerts, musicals, and fashion-forward exhibits to food festivals. Click on for an improved you. Celebrate Brooklyn The borough’s most famous arts festival features a huge roster of music, dance, and theater performances, many of which cost nada. This year’s highlights include benefit concerts by Modest Mouse and Willie Nelson. Celebrate Brooklyn Prospect Park Bandshell The borough’s most famous arts festival features a huge roster of music, dance, and theater performances, many of which cost nada. This year’s highlights include benefit concerts by Modest Mouse and Willie Nelson. Disenchanted A grown-up commentary on Disney princess narratives and their sometimes questionable advice for young girls. Disenchanted Westside Theater A grown-up commentary on Disney princess narratives and their sometimes questionable advice for young girls. Van Gogh: Irises & Roses Van Gogh’s work in Provence, which focused on spring flowers portrayed in contrasting formats and color schemes. Van Gogh: Irises & Roses Metropolitan Museum of Modern Art Van Gogh’s work in Provence, which focused on spring flowers portrayed in contrasting formats and color schemes. The Art of Al Hirschfield Exhibit A celebration of the famed American caricaturist, with a special focus on his seven-decade tenure at The New York Times. The Art of Al Hirschfield Exhibit New York Historical Society A celebration of the famed American caricaturist, with a special focus on his seven-decade tenure at The New York Times. China: Through The Looking Glass After this, you’ll be able to talk at length of the impact Chinese aesthetics have had on Western fashion and how China has fueled artistic imagery for centuries. Maybe. 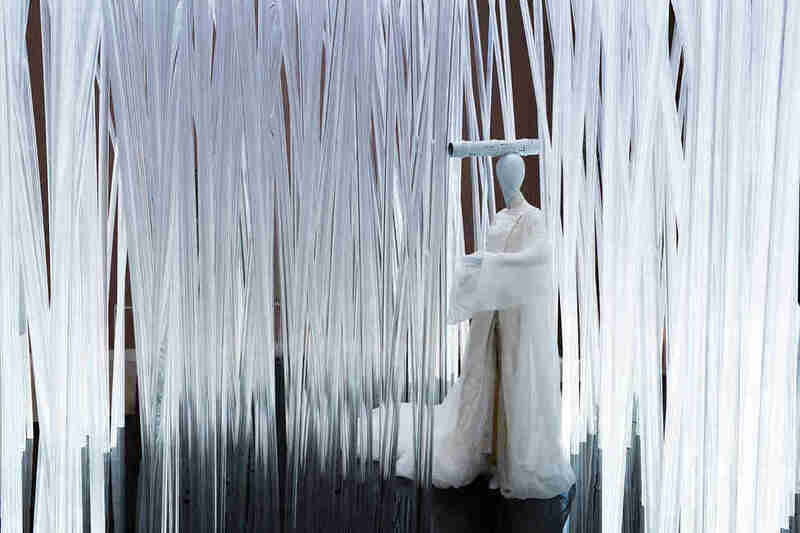 China: Through The Looking Glass Metropolitan Museum of Modern Art After this, you’ll be able to talk at length of the impact Chinese aesthetics have had on Western fashion and how China has fueled artistic imagery for centuries. Maybe. Buddhist Art of Kashmir & Its Legacies An exhibit focused on the artistic remnants of the ancient region of Kashmir (present-day Pakistan, India, and China), where Buddhism first flourished. Buddhist Art of Kashmir & Its Legacies The Rubin Museum of Art An exhibit focused on the artistic remnants of the ancient region of Kashmir (present-day Pakistan, India, and China), where Buddhism first flourished. Ralph Pucci: The Art of the Mannequin Mannequins do more than just stand there and look pretty, they actually communicate (and not just in the movie). This exhibit of 23 of them, from 1986 -2014, explores the subliminal messaging behind them. Ralph Pucci: The Art of the Mannequin The Museum of Arts & Design Mannequins do more than just stand there and look pretty, they actually communicate (and not just in the movie). This exhibit of 23 of them, from 1986 -2014, explores the subliminal messaging behind them. “How Posters Work” A showcase of 125 classic posters that display the powerful connection text, focus, and imagery play in creating a compelling, visual narrative. “How Posters Work” Cooper-Hewitt Smithsonian Design Museum A showcase of 125 classic posters that display the powerful connection text, focus, and imagery play in creating a compelling, visual narrative. Whiskey Tasting Sail Explore the history, taste, and science of whiskey on this educational sail, while sampling the stuff, plus food pairings. 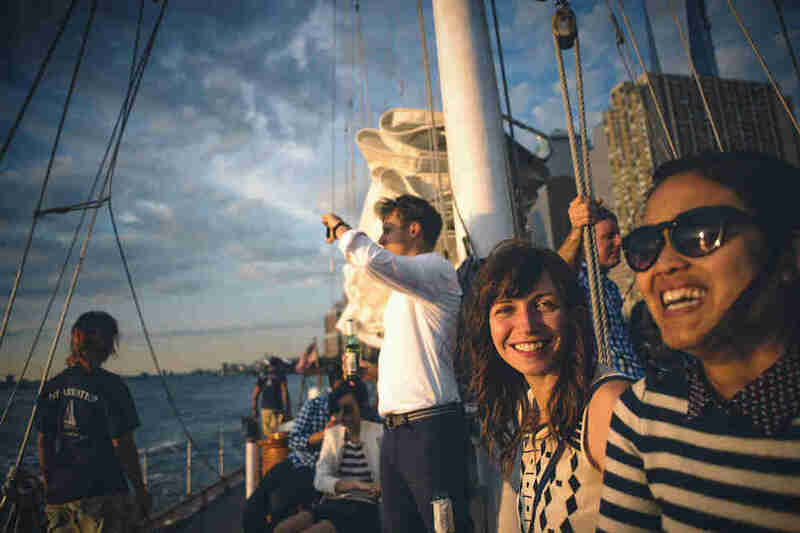 Whiskey Tasting Sail North Cove Yacht Harbor, Lower East Side Explore the history, taste, and science of whiskey on this educational sail, while sampling the stuff, plus food pairings. The Great Ephemeral Exhibit A complex and challenging exhibit focuses on the volatile relationship between speculation, faith, and existence through various interfaces and historical references. So… get coffee first. The Great Ephemeral Exhibit New Museum of Contemporary Modern Art A complex and challenging exhibit focuses on the volatile relationship between speculation, faith, and existence through various interfaces and historical references. So… get coffee first. 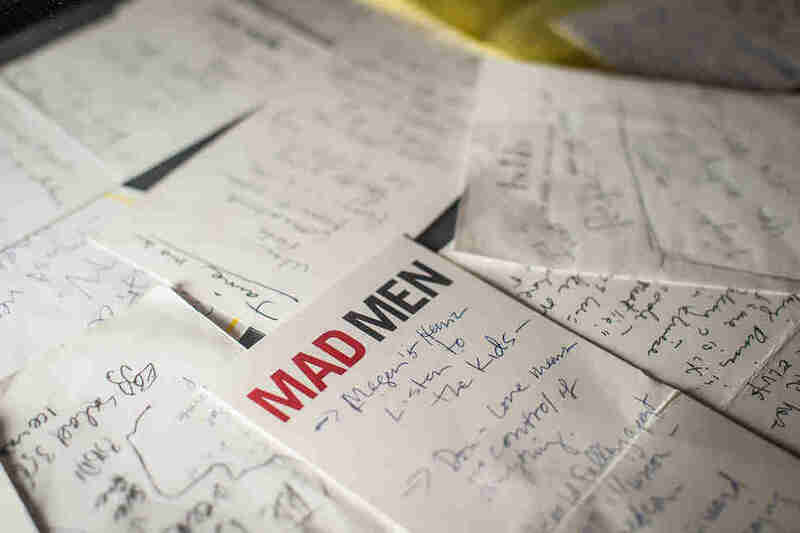 Matthew Weiner’s Mad Men Soothe end-of-series withdrawal with an exhibit of large-scale sets, props, video clips, and costumes that unveil the detailed creative process behind the show. Matthew Weiner’s Mad Men Museum of the Moving Image Soothe end-of-series withdrawal with an exhibit of large-scale sets, props, video clips, and costumes that unveil the detailed creative process behind the show. Frida Kahlo: Art, Garden, Life The first exhibition to examine Kahlo’s appreciation of the natural world feature more than a dozen paintings, surrounded by Mexican-inspired shopping and dining events. Frida Kahlo: Art, Garden, Life New York Botanical Garden The first exhibition to examine Kahlo’s appreciation of the natural world feature more than a dozen paintings, surrounded by Mexican-inspired shopping and dining events. Outdoor Summer Movies So maybe you’ve seen Annie Hall before, but were you adjacent to the High Line, surrounded by hanging lanterns, blankets and a bunch of fellow New Yorkers? The locations are as varied as the movies themselves this summer, and if not free, expect free stuff -- like popcorn, and… fresh air. 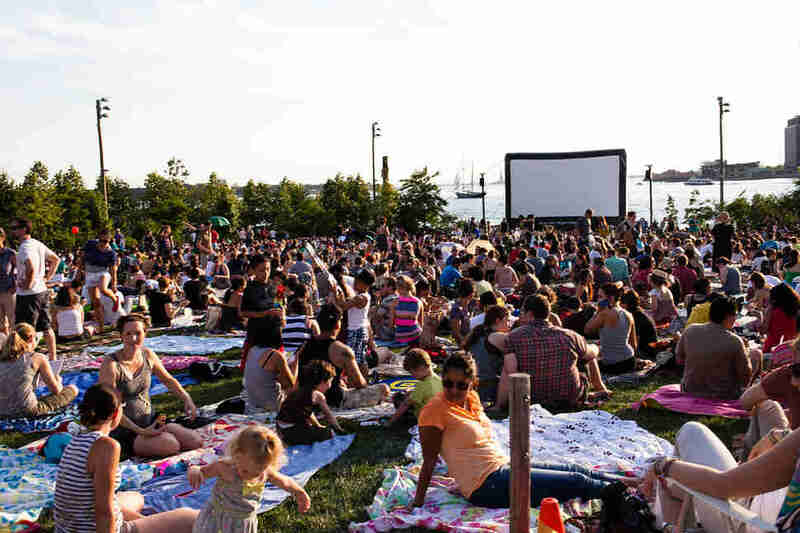 Outdoor Summer Movies Multiple Locations So maybe you’ve seen Annie Hall before, but were you adjacent to the High Line, surrounded by hanging lanterns, blankets and a bunch of fellow New Yorkers? The locations are as varied as the movies themselves this summer, and if not free, expect free stuff -- like popcorn, and… fresh air. Camel Riding Who needs a desert to get their Lawrence of Arabia on? 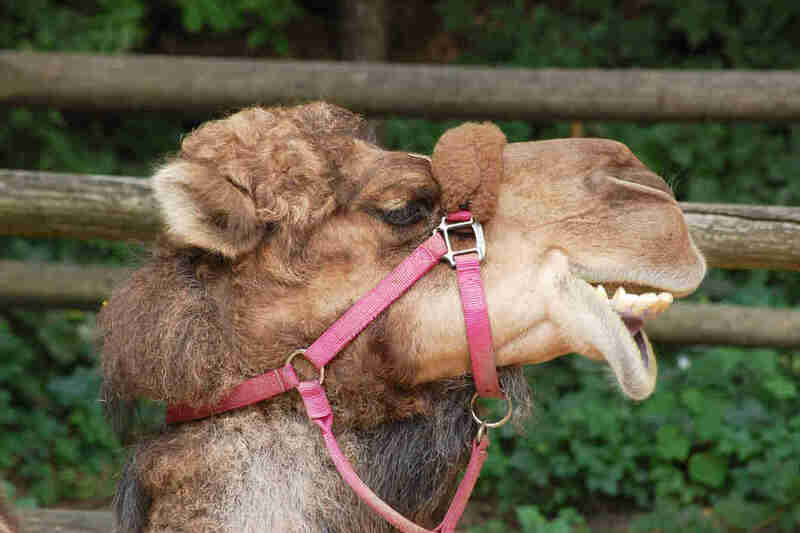 Take a Camel ride through the Wild Asia Plaza section of the Bronx Zoo and tick a box on the life-must-dos list. Camel Riding The Bronx Zoo Who needs a desert to get their Lawrence of Arabia on? Take a Camel ride through the Wild Asia Plaza section of the Bronx Zoo and tick a box on the life-must-dos list. 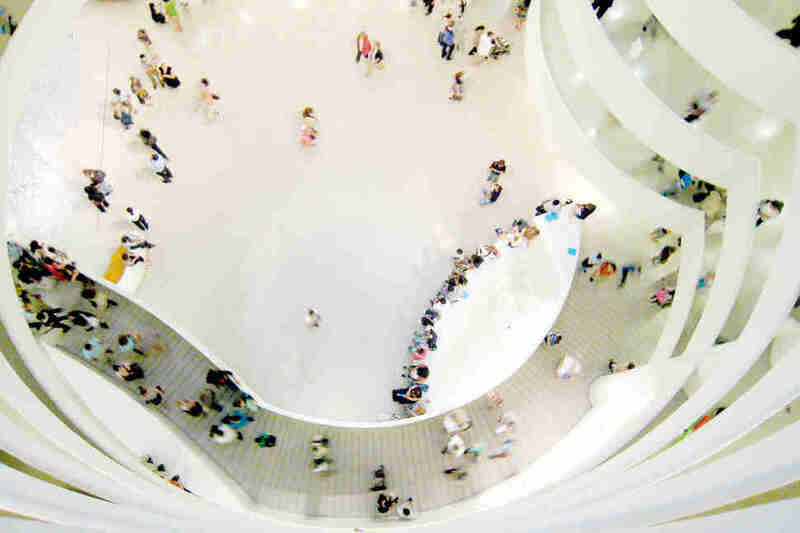 Storylines: Contemporary Art at the Guggenheim Examine the diverse ways in which artists communicate pop-culture narratives through almost 100 works, from installations and photography, to painting and sculpture. Storylines: Contemporary Art at the Guggenheim Solomon R. Guggenheim Museum Examine the diverse ways in which artists communicate pop-culture narratives through almost 100 works, from installations and photography, to painting and sculpture. 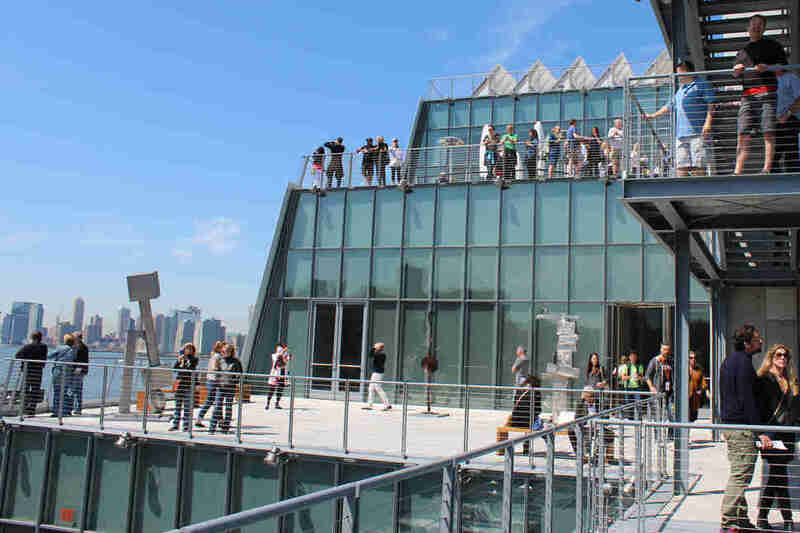 Whitney Museum of American Art (Multiple Exhibits) A series of indoor and outdoor exhibits to celebrate the new location of the famed American-Art museum, including works from Mary Heilmann and Michele Abeles. Whitney Museum of American Art (Multiple Exhibits) 99 Gansevoort Street A series of indoor and outdoor exhibits to celebrate the new location of the famed American-Art museum, including works from Mary Heilmann and Michele Abeles. MoMA PS1 Courtyard A Saturday concert series featuring local and international experimental live music, DJ sets, and a rotating mix of art installations. MoMA PS1 Courtyard MoMA PS1 Courtyard A Saturday concert series featuring local and international experimental live music, DJ sets, and a rotating mix of art installations. 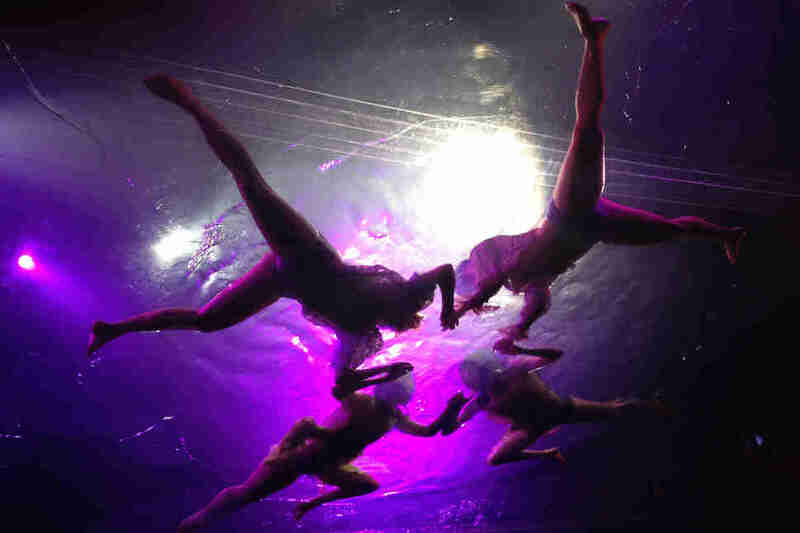 Fuerza Bruta “New York’s best high” combines live music and acrobatics, and once featured Usher! (He was promoting his album in 2012.) Catch the latest cast -- maybe literally, you never know. Fuerza Bruta Daryl Roth Theater “New York’s best high” combines live music and acrobatics, and once featured Usher! (He was promoting his album in 2012.) Catch the latest cast -- maybe literally, you never know. Shakespeare In The Park This year’s annual free performances include The Tempest and Cymbeline and feature familiar faces like Sam Waterston, and Jesse Tyler Ferguson. 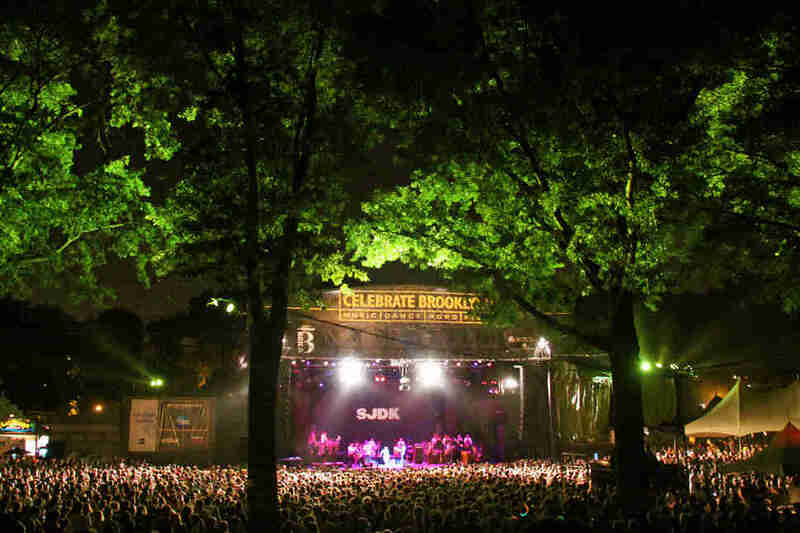 Shakespeare In The Park Central Park Delacorte Theater This year’s annual free performances include The Tempest and Cymbeline and feature familiar faces like Sam Waterston, and Jesse Tyler Ferguson. Clinton, The Musical A political satire about Bill Clinton’s scandalous presidency, from “bringing saxy back” to… that intern. Clinton, The Musical New World Stages A political satire about Bill Clinton’s scandalous presidency, from “bringing saxy back” to… that intern. Books Beneath the Bridge Brooklyn’s most prominent independent bookstores host live author readings, signings and discussions on Monday nights. Books Beneath the Bridge Brooklyn Bridge Park Brooklyn’s most prominent independent bookstores host live author readings, signings and discussions on Monday nights. Lincoln Center Festival Highlights include the National Ballet of China, the Cleveland Orchestra, and a concert showcasing Tim Burton film scores. Lincoln Center Festival Lincoln Center Highlights include the National Ballet of China, the Cleveland Orchestra, and a concert showcasing Tim Burton film scores. Broadway in Bryant Park Popular shows on and off Broadway perform their biggest hit for free, hosted by LiteFM DJs. Broadway in Bryant Park Bryant Park Popular shows on and off Broadway perform their biggest hit for free, hosted by LiteFM DJs. 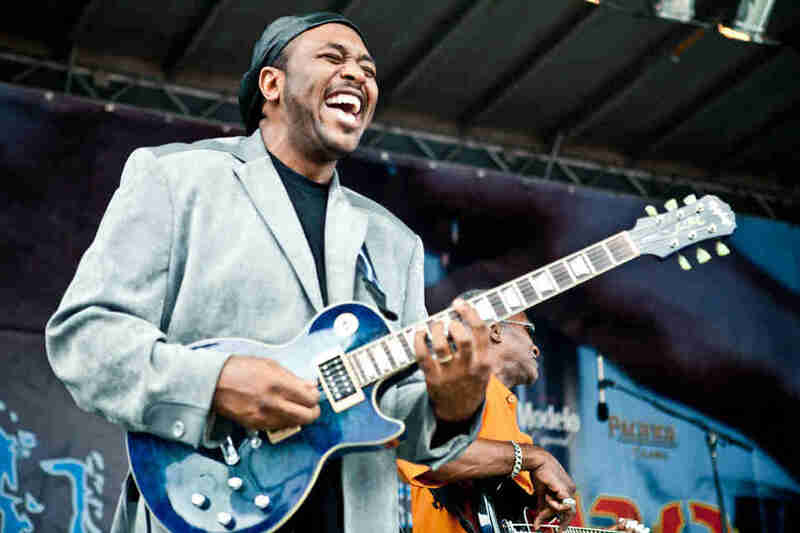 92nd Street Jazz Festival Hear dozens of world-class solo and ensemble jazz artists perform original work, and tributes to greats like Duke Ellington. 92nd Street Jazz Festival 92nd Street Y Hear dozens of world-class solo and ensemble jazz artists perform original work, and tributes to greats like Duke Ellington. Mostly Mozart A celebration of the life and works of famed Austrian composer Johannes Mozart, as well as other classical artists (hence the mostly). Mostly Mozart Lincoln Center Plaza A celebration of the life and works of famed Austrian composer Johannes Mozart, as well as other classical artists (hence the mostly). Good Beer The title alone should sell it, but also learn about beer’s history and brewing process, and sample brews and food from over 30 popular vendors, including Brooklyn Brewery and L&W Oyster Co.
Good Beer Hudson Mercantile The title alone should sell it, but also learn about beer’s history and brewing process, and sample brews and food from over 30 popular vendors, including Brooklyn Brewery and L&W Oyster Co.
Smorgasburg at SummerStage A night of eating and drinking from 25 popular NYC vendors, including Mighty Quinn’s, Lumpia Shack, and Ramen Burger. Smorgasburg at SummerStage Rumsey Playfield, Central Park A night of eating and drinking from 25 popular NYC vendors, including Mighty Quinn’s, Lumpia Shack, and Ramen Burger. 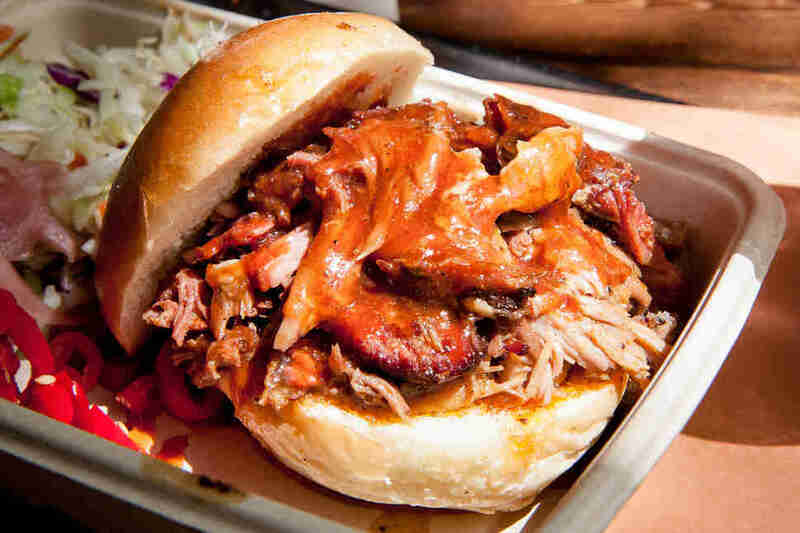 Hudson River Park’s Blues BBQ Festival Now 16 and relocated to a larger home, with multiple live performances and a selection of New York’s best bbq. Hudson River Park’s Blues BBQ Festival Pier 26, Hudson River Park Now 16 and relocated to a larger home, with multiple live performances and a selection of New York’s best bbq. The Metropolitan Opera’s Summer HD Festival Italy is far, so hit these ten outdoor screenings of select opera performances, including Tosca and Carmen. There are 2,800 seats per night and no tickets are required. Also, it’s FREE. The Metropolitan Opera’s Summer HD Festival Lincoln Center Plaza Italy is far, so hit these ten outdoor screenings of select opera performances, including Tosca and Carmen. There are 2,800 seats per night and no tickets are required. Also, it’s FREE.